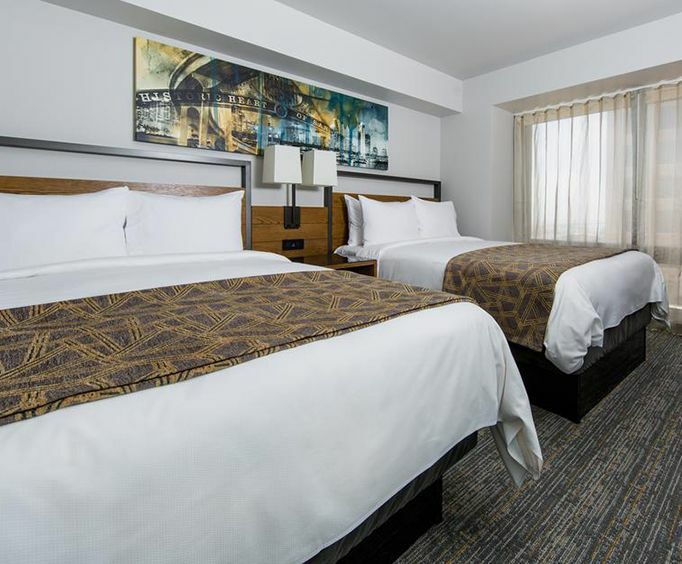 The Declan Suites San Diego is located in the downtown area of San Diego and is a little over a mile away from Seaport Village, about 2 miles away from San Diego Zoo located in Balboa Park, and within 2 miles of a golf course. 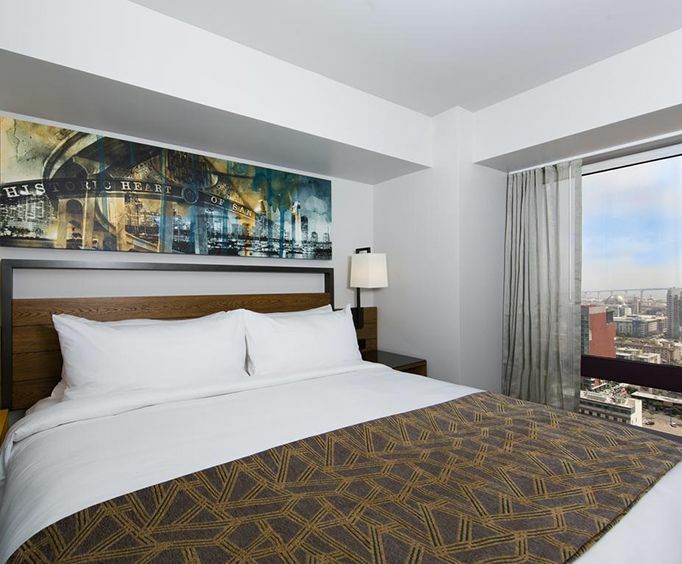 A high-rise hotel with more than 260 rooms, staying in one of the luxurious suites at the Declan Suites will give you breathtaking views of the city scape and bay. As a guest at this mid-range hotel, you can choose from a traditional, deluxe, club, king or Pure suite. The Declan Suites San Diego provides 18 Pure rooms that are hypoallergenic and perfect for those who suffer with asthma or allergies. Enjoy valet parking and high-speed wireless Internet, or watch premium cable/satellite channels on your flat-screen television. In the comfort of your room, you'll find a radio, refrigerator, microwave, iron and ironing boards, music system, a kitchenette with a dining area, tea/coffee maker, carpeted floor and a lovely balcony to relax on. Peruse the gift shop or enjoy gourmet meals at the in-house Renditions Restaurant. 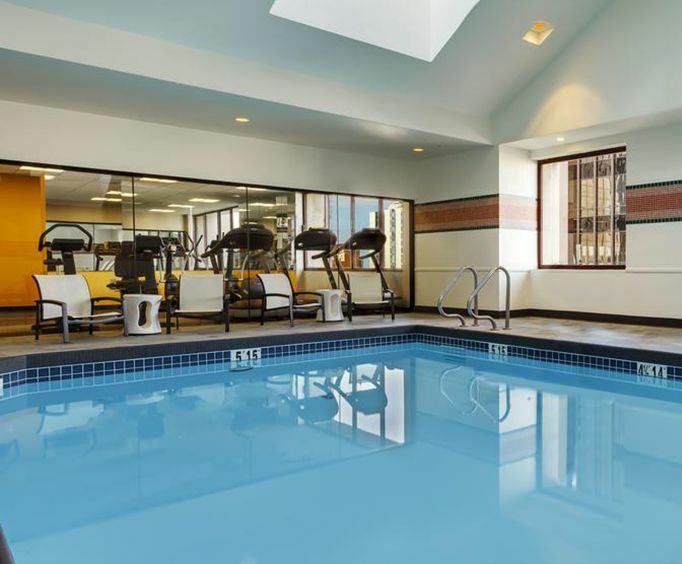 For recreation, work out at the fitness center and then dip into the heated indoor pool. Relax while treating yourself to a massage treatment at the salon or whip your hair into shape at the hairdresser. For a night of fun, enjoy the bar, the casino, the heated Jacuzzis or the theatre. The ideal location of the Declan Suites San Diego places you in the center of San Diego's downtown life. Simply walk downstairs and watch a spectacular orchestra perform or head out on foot to Gaslamp Quarter or Horton Plaza. A short 7-mile drive will take you to one of the top attractions, Sea World San Diego.